Today I was able to work with sixth and eighth grade students on their reading and vocabulary. For one of their activities, the teacher modeled reading by reading aloud. It was a great example for the students to see the fluency of reading; the teacher was also able to stop and ask comprehension questions as she went along. Because I entered into the class just a little after the period, I wasn’t able to jump in and read, but I was able to follow along and observe the students. They seemed to be very engaged with the teacher. When she stopped to ask a question, they didn’t seem annoyed at the interruption; instead, they answered willingly. Some students even jumped out of their seats! The teacher allowed the students to sit in desks or on the floor, wherever they felt the most comfortable. I thought this was smart because it’s just a simple way to make reading more fun. Mrs. Sopko’s [the head teacher] one parameter, though, was that the students stayed close so that they could hear her reading. I was also able to work with students on what’s called Wordly Wise—an online vocabulary assessment that tests students on their ability to learn different words and their meanings. One of the activities was to change a root word to a noun, adjective, or verb. The software also assessed skills in critical reading, in vocabulary definitions (rewording definitions in different ways or through similes) and analogies. I was able to sit down and assist two students. What I noticed they struggled with the most was their speed—at times one student, especially, was too eager to get going and didn’t want to take his time reading the directions. Something else I noticed was that both students struggled with their syntactic clues. 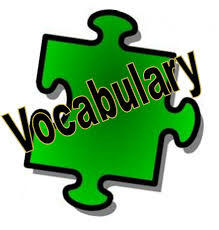 For example, they would have the root word ‘horizon’ and would need to change it to an adjective with the suffix examples of ‘ing,’ ‘al,’ or ‘ed’. Instead of using their syntactical cueing systems and sounding out which of the suffixes made an actual word, they would try ‘horizoning’ or ‘horizoned,’ or even ‘horizonal’ before realizing that those weren’t real words. It was fun and challenging for me to work with them on these activities, mostly because I wanted to assist but not give the answer. I guided their learning by asking them to sound out each of the prefix-suffix combinations. This helped to at least lead them to the right answers without me feeling like I was just giving them the information. Overall, it was a really great first day!